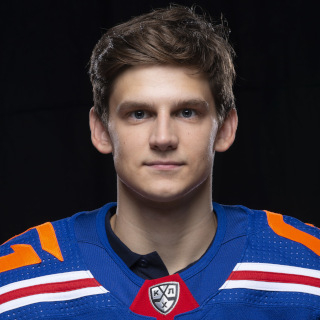 In today’s edition of our continuing Not A Word About Hockey series we’re going to talk to SKA-1946 and SKA-Neva forward Pavel Kukshtel. He found time to speak about his spare time, his character traits, musical preferences and much more. - I decide on my diet myself. I try to eat healthy. I eat about 5-6 times a day. I have full breakfast, lunch and dinner along with two or three snacks. Macaroni and cheese is my favorite meal. - I have a pet cat. His name is Yelisey. - I like to stay active on vacation. I can play tennis or basketball. I really like to go on walks, especially in new cities. - I have been to many countries, but never to Switzerland. I would like to visit it very much. - Whenever I meet with my friends, we have several ways of spending time together. We usually go for a walk or to the movies. - I like the movie 1+1. I watched Lethal Weapon. Will Smith is my favorite actor. - I like to listen to the music. I listen to all kinds of it, depending on how I feel. The latest track I have added to my playlist is Flow by Grassy Spark. - I’m a calm but a resilient guy. It’s tough for me to talk about my upsides. As for my shortcomings, I would say that I get nervous at times and negative. Sometimes it’s a real problem. - I never felt like not going to the game. Is that even possible? I have never felt like it and hopefully never will. - A real man must respect and love his family. He needs to be supportive to his girlfriend and make her feel like she’s behind a brick wall. He must be a good father, constantly improve, achieve his goals and keep moving forward. - From my parents I inherited goal-drivenness, care and kindness. - Whenever I meet a new person, first thing I look at is how they’re dressed and talk. - I’m superstitious. I think all athletes are superstitious. I believe I’m a gambler but it has nothing to do with gambling like poker or anything of the sort. - I can’t say I have a role model when it comes to men’s attire. I follow many famous athletes and pick a few things from them. - I pay attention to clothing brands. After all, it’s feels better to wear quality clothes and it’s more practical. I prefer bright colors. White is the dominant color in my wardrobe. I definitely prefer classics in everyday life. I kind of grows on you when there’s a dress-code on your team. In my spare time I prefer to wear something different. - I have some trouble with growing beard. I would have to not shave for about eight years to grow anything noticeable. That’s why I don’t grow it yet. - My ideal girlfriend is educated, funny and caring, who would understand what I do. I mean, constant practices and road trips. - I wouldn’t say that a relationship is an obstacle in sports career but right now I focus entirely on hockey. - I think I would offer my son to sign up for hockey but it would be his decision to make depending on how he feels. Would I sign up my daughter for hockey? If she would like to, I’m not going to be against it. - When girls find out that I’m a hockey player, they react positively. Hopefully, it’s going to stay that way. - If it weren’t for hockey, I would be in a different sport. Most likely, I would play tennis or be a figure skater. I haven’t liked staying at one place since I was a kid. I’ve always wanted to move around and play just about anything. - I study at Lesgaft University. Given my schedule, I rarely come to classes. I know my classmates but not all of them. - I have spent a lot of time studying ever since I was a kid. I have to thank my parents for that. I think that everyone needs a good education. It helps improve your mind. And you need it in hockey and sports in general. Not a lot of people know that I really playing chess. My parents signed me up for chess classes when I was a kid. They did it with hockey in mind, so my head would always be busy and improving. I even competed at tournaments when I was a kid but as time went by, chess slowly drifted away from my life.